The death occurred, peacefully, in the wonderful care of the staff at the Mullingar Regional Hospital, on Wednesday, February 13 of Edward ‘Ted’ Quirke, West View Creevaghbeg, Ballymahon, Longford. Predeceased by his wife Anne, sadly missed by his daughters Maria and Karen, sons-in-law Brian and Gregg, his 3 grandchildren Robert, Cian and Emma, his sisters Kathleen, Mary and Eileen, his brothers Michael and Sean, brothers-in-law, sisters-in-law, nieces, nephews, relatives and very kind neighbours and many friends.Rest in Peace. Reposing in his residence this Saturday, February 16 from 4pm until 7pm. House private on Sunday morning, February 17 please. Funeral Mass on Sunday, February 17 in St Matthew's Church, Ballymahon, at 11.30am followed by burial in Forgney Cemetery. Family flowers only please. The death occurred, in her 92nd year, in the loving care of the nurses and staff of Thomond Lodge Nursing Home Ballymahon, surrounded by her loving family and friends, on Tuesday, February 12 of Annie Healy (née Smyth), Pollagh, Newtowncashel, Longford. Predeceased by her husband Michael and son James. Deeply regretted by her daughter Mary, son-in-law Jimmy, granddaughters Jenny and Michelle, great-granddaughters Bethany, Jessica and Lauren, sister Mary, nieces, nephews, relatives and friends. Rest in Peace. Reposing at her residence Pollagh, Newtowncashel (N39RH70) on Thursday, February 14 from 4pm. Removal on Friday, February 15 to the Church of the Blessed Virgin, Newtowncashel for Funeral Mass at 12 noon. Burial afterwards in Saints Island Cemetery. House private on Friday morning please. The death occurred, peacefully, in the loving care of the staff of Innis Ree Nursing Home, Ballyleague, on Wednesday, February 13 of Sr Brigid Grehan, Convent of Mercy , Ballymahon and, Longford Town, Longford and late of Shannon Harbour, Co Offaly and US. Predeceased by her brothers Michael, Jack, Gerry and Brian, Sr. Brigid will be sadly missed by her sister-in-law Josephine (Banagher), her nieces, nephews, grandnieces, grandnephews, her Mercy Community and a large circle of friends. May she rest in peace. Reposing at The Convent Chapel, Convent Road, Longford, on Thursday, February 14 from 3pm until 7pm with evening prayers at 6.15pm. Removal on Friday, february 15 to arrive at St Matthew’s Church, Ballymahon, for Mass of the Resurrection at 11am, interment afterwards in the Convent Graveyard, Ballymahon. Ar dheis Dé go raibh a h-anam dílis. Removal on Thursday morning February 14 to St Mary's Church, Granard, arriving for Requiem Mass at 11am. Interment afterwards in Granardkill Cemetery, Granard. 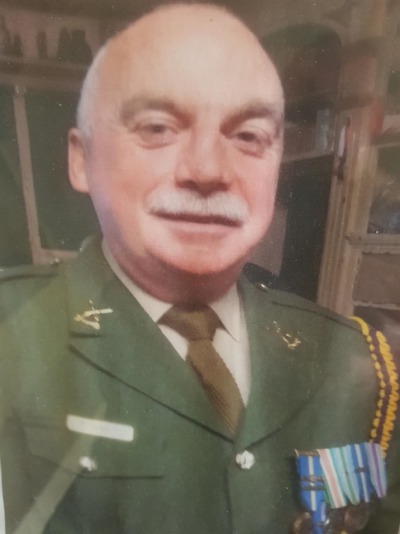 The death occurred, suddenly, at Midlands Regional Hospital Mullingar, on Tuesday, February 12 of Joe Ward, Clongowney, Mullingar, Co Westmeath and formerly of Drumcolligan, Mohill, Co Leitrim (retired An Garda Siochána). Predeceased by his brother Tom. Joe will be very sadly missed by his loving wife Helen (McCormack), sister Bernadette, cousin Anna, nieces, nephews, extended family and many friends. May Joe Rest in Peace. Reposing at Gilsenan's Funeral Home, Mullingar on Friday, February 15 from 3pm followed by removal to the Cathedral of Christ the King, Mullingar arriving at 6.30pm. Funeral Mass on Saturday, February 16 at 12 noon followed by burial in the Sacred Heart Cemetery, Marlinstown, Mullingar. Family flowers only please. Donations if desired to ISPCA. The death occurred, suddenly, at his home, on Monday, February 11 of John ‘Johnnie’ Cremin of Aughnaglace, Aughavas, Co Leitrim and formerly of Millstreet, Co Cork. Deeply regretted and sadly missed by his loving family, his brother, sister, nephews, nieces, neighbours and friends. May Johnnie Rest in Peace. Reposing at Finnegan's Funeral Home, Dublin Road, Cavan on Thursday, February 14 from 12 noon - 2pm followed by cremation at 2pm. 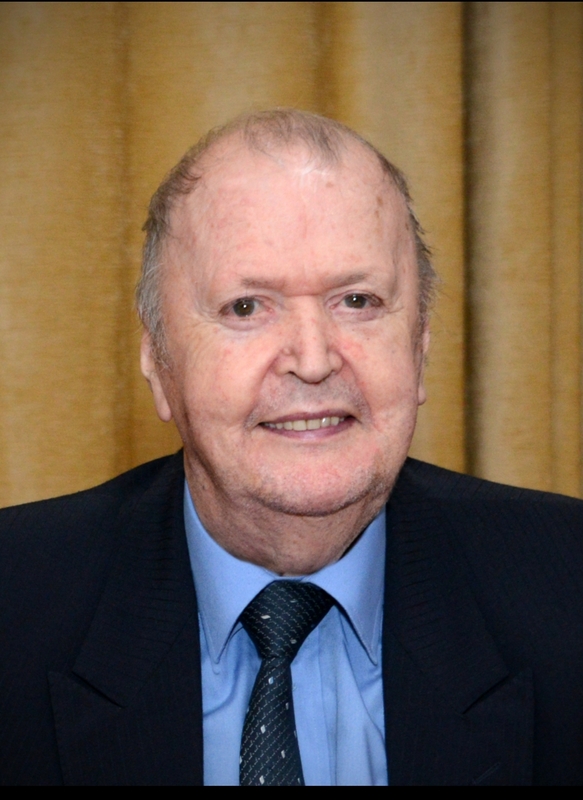 A Memorial Mass will take place on Saturday, February 16 at Ballydaly Church, Millstreet, Co Cork. House private at all times please. 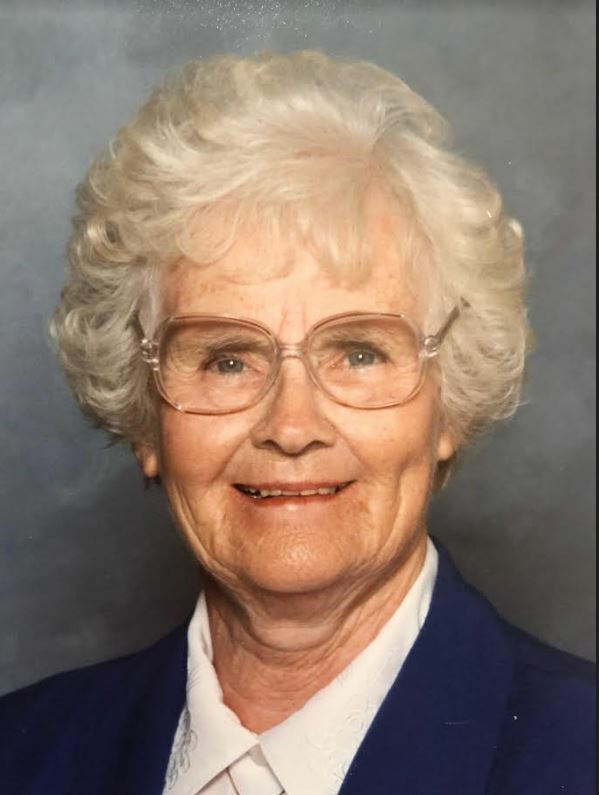 The death occurred, peacefully, at her residence, surrounded by her loving family, on Wednesday, February 13 of Teresa ‘Tessie’ Givney (née Smyth), Cunlin, Mountnugent, Cavan. Predeceased by her loving husband Johnny and her son-in-law Kieran Flynn. Deeply mourned by her family; Margaret, John, Michael, Louis, Oliver, Catherine, Brigid and Brenda. Her daughters-in-law Anne, Margaret, Alice and Margie, sons-in-law Laurence O’Shea and Paul Campbell, her sixteen grandchildren and her great-grandson. Her sisters-in-law Matilde and Una and brother Frank, nieces, nephews, neighbours and friends. May her gentle soul Rest In Peace. Reposing at her family home (Eircode A82 TP03) on Thursday, February 14 from 2pm to 10pm. Funeral Mass on Friday, February 15 in St Brigid’s Church, Mountnugent at 11am followed by burial in Ballinacree Cemetery. House Private on Friday morning. The death occurred, peacefully at College View Nursing Home, Cavan, on Wednesday, February 13 of Ellen ‘Nell’ Hever (née Smith), formerly Fairview, Dublin, Ballinagh, Co Cavan and Crosskeys, Co Cavan. Beloved wife of the late Pat and Mother of the late Mary Ferguson, Crosskeys. Loving mother of Helena and Michael. Sadly missed by her Family, sons-in-law Oliver Ferguson and Toss Finnegan, her beloved grandchildren David, Gráinne, Matthew, Alison and Katirei and great-grandchildren, nephews, nieces, all her relatives and friends. May she rest in peace. Reposing at the McMahon Funeral Home, Farnham Road, Cavan on Thursday, February 14 from 4pm until removal at 6.15pm to St Matthew's Church, Crosskeys arriving at 7pm. Funeral Mass on Friday morning, February 15 at 11am followed by burial in the adjoining cemetery. Funeral Mass on Thursday, February 14 at 12 noon in St Mary's Church, Newtownforbes, Longford, (N39 EF29) followed with burial in the New Cemetery. Parking for Connell's Funeral Home is in Connolly Barracks. Please follow signs. The death occurred on Monday, February 11 of Margaret Sheridan, Brankill, Arva, Co Cavan, at Cavan General Hospital. Margaret, beloved wife of the late Jack. Loving mother of John, Denis, Ciaran, Yvonne and Enda. Deeply regretted by her loving sons, daughter, sister and brothers, son-in-law Lionel Mullally, daughters-in-law Martina and Aisling, grandchildren, relatives and friends. Rest In Peace. Funeral Mass on Thursday morning February 14 in the Church of the Sacred Heart, Arva at 11am. Burial afterwards in Coronea Cemetery. 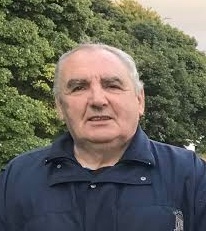 The death occurred, peacefully, in the tender loving care of the nurses and staff at St Patrick's Hospital, Carrick-on-Shannon, surrounded by his loving family on Monday, February 11 of Pat Collum, Carrick Road, Drumshanbo and formerly Breffni Crescent, Carrick-on-Shannon, Co Leitrim. Predeceased by his brothers Eamonn and Charlie, sisters Bridie and Angela. Deeply regretted and sadly missed by his loving wife Margaret, sons Fr.Pat (New Orleans), Martin (Keshcarrigan), Joe (Dublin), Jude (Drumsna), daughter Karen (Drumsna), son-in-law Michael, daughters-in-law Monica and Mary, grandchildren Dylan, Jack, Eva, Alisha, Leah and Sophie, brothers Eugene, Joseph, Jim and Christopher, sisters Teresa, Margo, Bernadette and Noleen, sisters-in-law, brothers-in-law, nieces, nephews, relatives, neighbours and friends. Rest In Peace. Reposing at St Patrick's Hospital Chapel, Carrick-on-Shannon, on Thursday evening February 14 from 3.30pm until 6pm with removal to St Mary's Church, Carrick-on-Shannon, arriving at 7pm. Mass of Christian Burial on Friday, February 15 at 12 noon with funeral afterwards to St Mary's Cemetery, Carrick-on-Shannon. The death occurred, peacefully, after a short illness at the Galway Clinic surrounded by his loving family, on Monday, February 11 of Michael Rogan, Ballymagrine, Rooskey, Roscommon. Beloved husband of Patsy and much loved father of Angela Lydon, Adrian, Michelle Beirne and Deirdre Roche. He will be sadly missed by his sorrowing wife and family, sons-in-law, daughter-in-law, his ten grandchildren, sisters Mollie, Ann, Bridie and Una, sister-in-law Mary Glancy, nephews, niece, relatives, neighbours and friends. Rest In Peace. Removal on Thursday, February 14 to the Sacred Heart Church, Whitehall Tarmonbarry to arrive for Funeral Mass at 12.30pm. Burial afterwards in Kilbarry Cemetery.